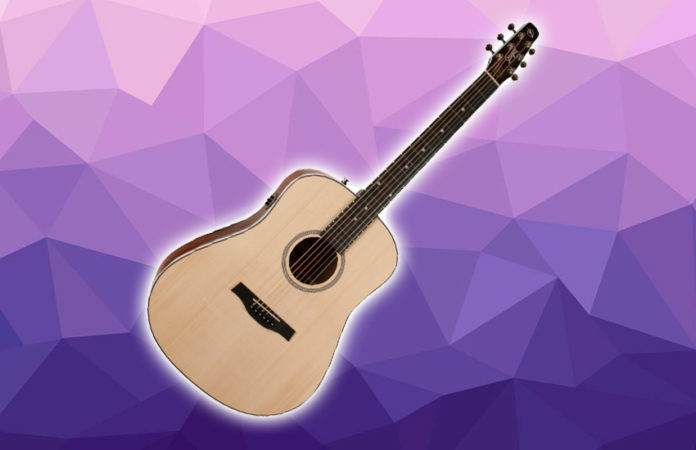 Seagull S6 is a uniquely designed acoustic guitar which boasts an excellent construction for easy playability, nonetheless, the perfectly crafted materials that offer the brilliant sound for acoustics. It earned its spot on our top seagull guitars list. As it is one of the most popular models of Seagull, we chose to list this guitar since it’s well-loved by many guitarists worldwide, however, let’s get more into the topic and explain what makes this guitar be so special. Nowadays, we know that most of the acoustic guitars are massively produced in China, unlike its competitors, this guitar was handmade in Canada, which definitely says a lot about how unique and assurance of a well-built instrument you’ll have. 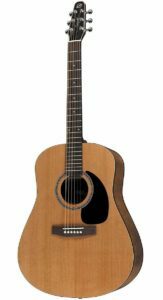 The Seagull S6 consists of a pressure-tested solid cedar top for a rich tone, while the company also used Canadian Wild Cherry for its back and sides, which is uncommon for guitars at this price range. Additionally, with its cedar top, you’ll manifest different tonal qualities which helps the guitar’s tone up with age. To be more specific, it also has a simple yet elegant look that makes it loved and durable to last for a long time. When it comes to the sound, well, you will enjoy listening to its phenomenal sound which can be compared to the higher-end guitars, which means, you can expect a subtle twang in its tone, balanced with the full-bodied resonance and excellent sustain to sound like quality music to the ears. In addition, thanks to its cedar top, it responds great to any finger-picking patterns and arpeggios. While it might be too bright for some since the open chords sound a bit chimey, on the other side it also has the thick sounds that emphasize the root notes. Regarding its feel and playability, beginners will easily adapt to its shape, learning the strings without the nuisance of difficulties. To continue, the Seagull S6 has detailed saddle and nut, while it uses a compensated Tusq made from Graph Tech, which has definitely improved the playability and tone. The nuts will help position the guitar strings from different heights, which makes it easy to play without having to worry about the action and strings thickness. As for the saddles, which are wood pieces that can hold strings below the guitar’s sound hole, are a major characteristic of high-end guitars, making it a great and surprising addition for the Seagull S6 to have. 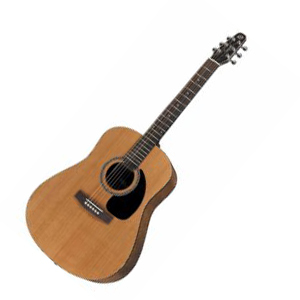 Additionally, when you first pick up the guitar, you will notice that the head is a bit smaller compared to other acoustic guitars, and the reason being, Seagull thinks that through putting the tuners in line with its nut, it would greatly improve the tuning stability, which proves to be as such. Moreover, besides the things that we mentioned, because of its neck width and length, it will also make it easier for players to shift from low to high notes quickly and without the hassle. To conclude, the Seagull S6 definitely offers a great deal of quality and performance, and if you’re looking for something similar that comes with a reasonable price, then this could be your ideal option.